Part of the magic of “Celebrating Wonder Women” is that each year’s honorees seem familiar–even to people they’ve never met. That’s because we all know Wonderful Women: We see them at work, at school, in community organizations or places of worship, in our families. With their words and deeds, in public settings and behind the scenes, these Wonderful Women are improving their communities every single day. 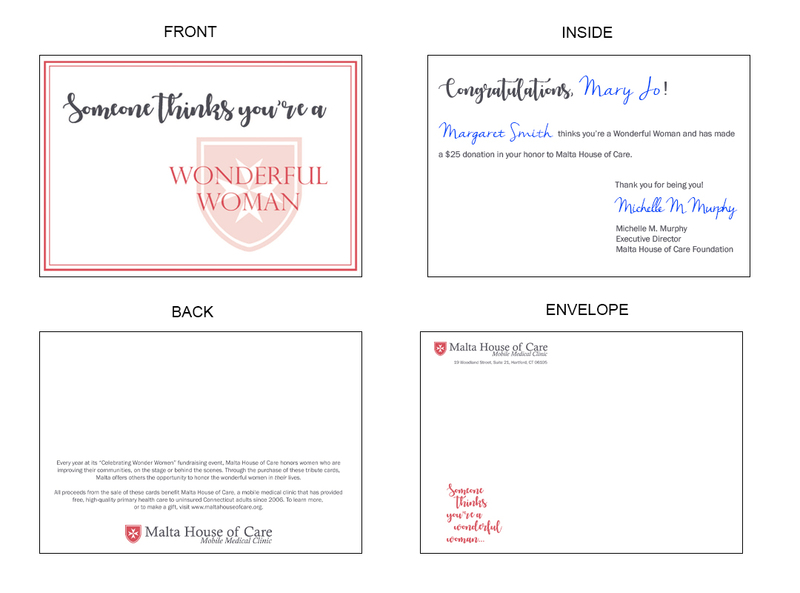 Now you can let your Wonderful Women know their efforts are noticed and appreciated–and support Malta House of Care in the process. recipients with a note explaining who sent it. Click here to purchase these tribute cards now.